Saturday wasn’t just a night to forget for Karius but for the whole Liverpool team who were defeated 3-1 by Real Madrid to lift the Champions League trophy for the third time in a row. Liverpool were showing the stuff they are made of until an unfortunate error from their first-choice goalkeeper Loris Karius childishly gave the ball away to Karim Benzema, who wasted no time to put the ball into an empty net. Though the Reds equalized through Sadio Mane, Real Madrid regained their one-goal lead via Gareth Bale’s power and impressive overhead kick. Karius, who will be going to Russia with Germany, was also guilty for Gareth Bale’s second goal of the night as he misjudged his shot that allowed the ball to hit his net. Despite having an experienced Simon Mignolet in his team, Jurgen Klopp prefers Karius in his starting lineup throughout the season. 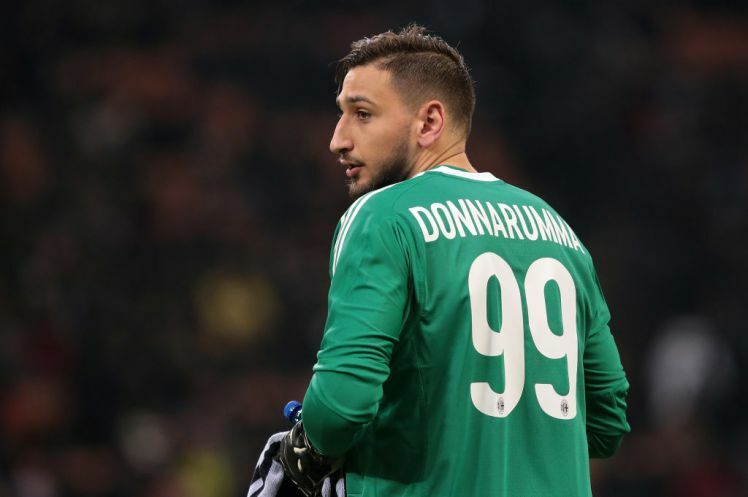 Having seen Karius uninspiring performances in the goalie’s biggest match in his career, Jurgen Klopp has intensified his race to sign AC Milan goaltender Gianluigi Donnarumma in the summer. According to goal.com via Repubblica, the losing finalist have met with the player’s agent to discuss terms so as to hasten the player’s decision to switch to the Merseyside club this summer. Should Donnarumma eventually move to Liverpool, Simon Mignolet might leave Anfield stadium, while Loris Karius becomes the second-choice goalkeeper. It has been confirmed by West London outfit Chelsea boss that France international Olivier Giroud will not be leaving the club at the end of the season as earlier speculated. Olivier Giroud has been reported to be seeking a move away from the Stamford Bridge after complaining of lack of playing time and has been linked with a number of clubs. The striker’s contract with Chelsea expires at the end of the season but the club have agreed to activate the 12 months extension clause. Maurizio Sarri has now confirmed that the former Arsenal striker will not be leaving the club in the coming summer as he will remain to help the team to challenge for titles. There are suggestions that the decision by the Italian boss is informed by the transfer ban on the club for the next two season. Efforts have been made to appeal the ban but there has not been a result yet which means the West London players will have to remain and not move away if the club must compete for titles in the coming season. However, manager Maurizio Sarri team will hope to secure qualification to the Champions League next season by finishing in the top-four. Football pundit Paul Merson has been hinted that Chelsea boss Maurizio Sarri might not remain at the Stamford Bridge in the coming season. The Italian boss is no longer in the good books of the Blues’ fans owing to the poor results by the team and the inability to compete for the English Premier League title. 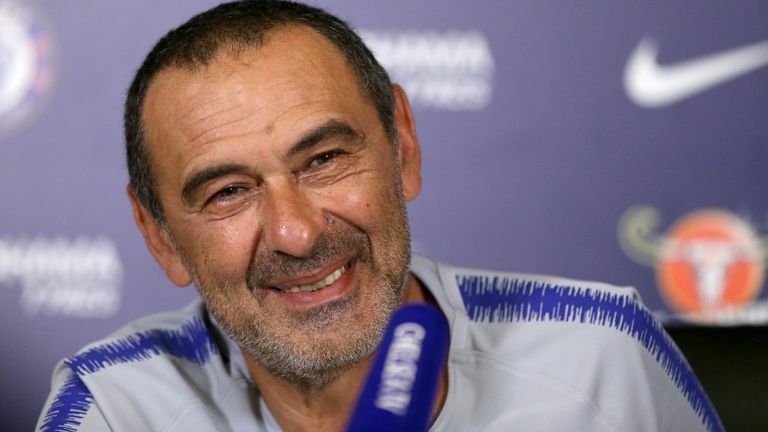 Sarri joined the Stamford Bridge from the Italian Serie A outfit Napoli in the last summer transfer window and the fans are already wanting him out. Paul Merson stated that Chelsea boss Roman Abramovich will not want to have Maurizio Sarri at the club next season because he was brought in to play the expansion football, play good football as well as score more goals but that has not happened. However, Paul Merson suggested that Bournemouth boss Eddie Howe will be the best replacement for the former Napoli boss because of his style of football which is close to what the Blues owner wants. He stressed that Eddie Howe has a style of play which is good for winning and it is expected to work well at the top level. Meanwhile, the Blues are more particular about winning the appeal of the transfer ban on the club so as to be able to compete next season. Merseyside outfit Liverpool boss Jurgen Klopp has faulted the English Premier League for not giving the needed support to their clubs in European competition. So far, Tottenham and Liverpool are in the Champions League semi-finals while Arsenal and Chelsea are in the Europa League with Jurgen Klopp claiming that they should be helped by the EPL on fixtures so that they can be able to perform better in those competitions. The German international made this claim when making reference to Ajax who were given a break from their domestic league to help them better prepare for the Champions League. He noted that he is unsure if the English Premier League will be able to take such a decision to help their team but stressed that it is the best that would have happened to his team and the others. The former Borussia Dortmund boss is hoping that his team can be able to deliver a double this season with his attention on the English Premier League and the Champions League as well. However, the English teams have been hailed for their performance in the European tournaments this season as they can still boast of two teams in each of the European tournaments. North London giants Arsenal have put themselves in a fantastic position to qualify for the Champions League next season. The Gunners are spoilt for choices on the routes to take to qualify for Europe’s premier club competition next season. They can qualify for the competition via the league route or the Europa League route. Arsenal will be guaranteed a spot in the Champions League for next season if they win the Europa League. They have a two-legged semifinal to negotiate vs Spanish club Valencia after seeing off Napoli in the last round. Arsenal beat Napoli in both legs to secure a 3-0 aggregate win including the 1-0 away win over the Italians on Thursday night. For the league route, Arsenal will entertain Crystal Palace in a London Derby at home with the aim to get a win that will take them above North London rivals Tottenham Hotspur and into third place. Arsenal can’t afford to drop points against the Eagles who have a better away record than at home. The Gunners are overwhelming favourites to secure third place on the league table with winning odds of 1.52 according to Surebet247. An unlikely win for Palace is at the odds of 6.00 while a stalemate is at 4.50 odds according to Surebet247. Egyptian international Mohamed Salah has been snubbed for this year’s PFA POTY award as he was not shortlisted this year. It would be recalled that the former AS Roma star won the individual award after his impressive performance last season with about 32 goals in 36 games, a feat that had no match. This season, the star player has been able to drive home 19 goals but he has not been dim fit for the award because of his silent season in terms of performance. However, he was replaced by Senegal international Sadio Mane who was listed alongside Liverpool central defender Virgil Van Dijk. Meanwhile, the Reds team have been tipped to produce the winner this campaign for the second consecutive season but that will be largely determined by their will to win the English Premier League at the end of the season. The Merseyside outfit are currently in the race and have been dimmed as favourites because of their fine form which has kept them second in the log after Man City were able to defeat North London outfit Tottenham earlier on Saturday. Meanwhile, a title win for the Reds will make it the first the club in 29 years. Barcelona legend Carles Puyol has no doubt that Argentine international skipper Lionel Messi is still the best player in the history of world football after he once again shut down the doubters with a stunning performance in the Champions League clash with Premier League giants Manchester United. 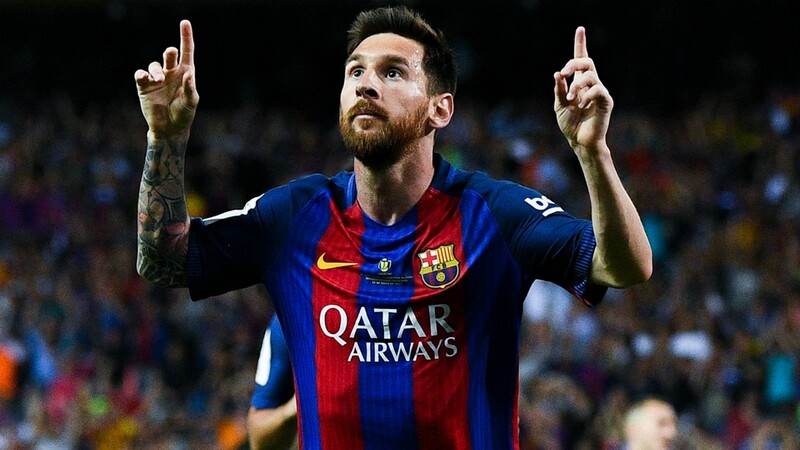 Messi and Barcelona knocked out the Red Devils via a 4-0 aggregate win. Puyol talked about five-time Ballon d’Or winner Messi during an interview with Goal while he was at the Champions League trophy tour in Nigeria. His beloved Barcelona had earlier beaten Manchester United 1-0 in the first leg played at the Theatre of Dreams last week Wednesday. Manchester United defender Luke Shaw put through his own net in the 12th minute to give Barcelona a priceless away goal and that made it count in the second leg at the Nou Camp on Tuesday night. The Red Devils were on the receiving end of a 3-0 trouncing at the hands of Spanish champions Barcelona. Lionel Messi was the star of the show as he scored two goals within five first-half minutes before ex-Liverpool player Philippe Coutinho added a third goal midway into the second half. With the second leg victory, Barcelona setup a semifinal tie with Liverpool via a 4-0 aggregate win over Manchester United. After losing out of the English Premier League title, the FA Cup and the Carabao Cup, the West London outfit have just the Europa League to behold and the only chance to celebrate silverware this season. The Blues team have been to see past Slavia Prague with a 5-3 aggregate in the quarter-finals and have set up a clash against German Bundesliga outfit Eintracht Frankfurt in the semi-finals before standing the opportunity of being in the final to face the winner between Arsenal and Valencia. However, French international midfielder N’Golo Kante is very particular about the clash as he hopes to see past the Bundesliga outfit to win the Europa League finals at the end of the day. According to him, he wishes to make the season beautiful by winning the Europa League while admitting that they are not favourites in the competition despite having great players. He noted that the team have got a lot to work on, especially their poor second half form but stressed that the most important thing is to qualify to the finals to stand the chance of winning at the end of the day. However, Kante will hope his team wins the Europa League to earn them the opportunity of securing an automatic Champions League spot next season. Lyon attacker Memphis Depay was amongst the goals as his side strengthened their grip on the third and final Champions League spot in the French Ligue 1 following the 2-1 win over Angers. Lyon secured a slim victory at home to lowly Angers to move six points clear of Saint Etienne in fourth place. Saint Etienne can close the gap back to just three points with a win at Reims later this weekend. Dutch international star Depay scored the opening goal of the game on 14 minutes before Lyon striker Martin Terrier added a second goal for the home team with six first-half minutes left. Lyon preserved that 2-0 lead until the final minutes of the game when midfielder Lucas Tousart put through his own net to setup a nervy finish for the Champions League chasers. The former French champions held on for a crucial win that took their points tally to 59 points while their opponents stay in 12th position with 41 points. Former Manchester United attacker Depay played a big part in the win over Angers. He has been able to resurrect his ailing football career at Lyon after a disastrous spell at the Theatre of Dreams. 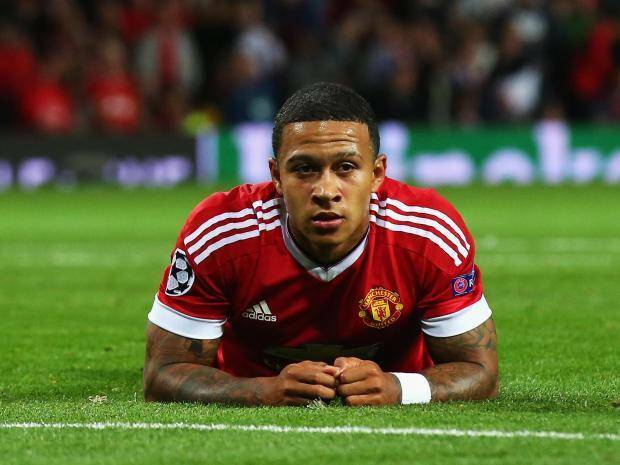 Memphis Depay signed for Manchester United from Dutch Eredivisie giants PSV Eindhoven in the summer of 2015 but failed to make the expected impact before joining Lyon in January 2016. After eliminating Porto in the Champions League quarter-final, Merseyside outfit Liverpool will now face Spanish La Liga outfit Barcelona who are favourites for the title this season after eliminating Man United. The Reds team now have the hope of seeing their second consecutive Champions League finals if they are able to see past the Spanish side. One challenge for Liverpool will be how to stop Argentina international Lionel Messi knowing that he was responsible for the downfall of the Red Devils and manager Jurgen Klopp has stated that he hopes his team are able to find a way to stop him. However, Jurgen Klopp has been told by former player Xavi Alonso that the La Liga team are beatable despite the fact that it looks difficult. According to Xabi Alonso, the Reds team can boast of their last season’s experience to see past Barcelona, adding that it would be a great game to behold. He stressed that the attack force of the Jurgen Klopp team with Mohamed Salah, Sadio Mane and Roberto Firmino is also formidable and will pose a threat to the Barcelona defence. Meanwhile, the Reds team have got the English Premier League title to fight for and they hope to win the double at the end of the season. English Premier League outfit Chelsea are reportedly ready to reduce their asking price for Belgium international Eden Hazard as talks are reported to have started with Spanish La Liga outfit Real Madrid. The Belgium international has since been linked with a move away from the West London outfit and has refused to sign a new deal to be able to actualize his dream to move to Real Madrid and work under his football idol and manager Zinedine Zidane in the coming season. In order not to lose him for free, the Blues team have decided to open talks with the Spanish side and they had earlier insisted on a £100 million as the asking price to be able to land his signature. But the latest report claims that the Blues team are now ready to come down a little and will accept a fee of £90 million which could lead to an agreement between both sides. The Blues have decided to look out for a replacement for the Belgium international and are reported to have identified French Ligue 1 outfit Lille striker Nicolas Pepe as the best fit for the club. Chelsea have lacked cutting edge since the start of the season and they hope to have it corrected with new additions.